Dr. Rasika Hendahewa General Surgeon and Endoscopist is pleased to announce that he is now consulting and operating at Caboolture Private Hospital. 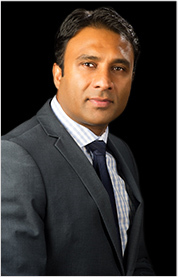 Dr. Hendahewa was educated in Sri Lanka where he obtained his Masters in Surgery in 2007. Dr. Rasika Hendahewa has been based at Caboolture Hospital since 2010. Dr. Hendahewa has a keen interest in teaching and education and has been appointed a Senior Lecturer at the University of Queensland. In addition he has been published in many international papers including a randomised clinical trial. Dr. Hendahewa prides himself on being very approachable and for providing a prompt and thorough clinical service to colleagues and patients.